Our toes offer insight into the past and what is being experienced in the present; physically, emotionally, spiritually and financially. Learning to read toes is so much more than just entertainment. It can bring new awareness into your life in many areas and allow for transformational healing to occur. This is a true gift to be able to share with others to offer them insight and promote healing in their lives. Learn the art of Tarot with Psychic-Medium, Suzi Coggins. You will be introduced to the basic meanings of the cards and suits. 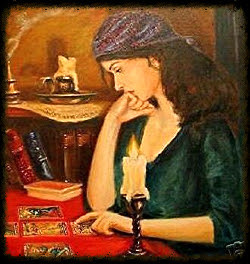 You will learn each card's meaning by communicating with your Spirit Guides who assist you with the translation the Tarot. There will Guided Meditations to help you Meet Your Spirit Guide and Balance Your Chakras. You will also have the opportunity to shine by practicing the reading of Tarot Cards for others!!! Cost: $35.00 per class or $60.00 if paid in full during preregistration period. $35.00 per class or $60.00 if paid in full during preregistration period. Know that you are always supported. You are never alone. From before you were born and throughout your life, you are surrounded by your angels and spirit guides. Hearing your spirit guides is just the first step to following your dreams and receiving their most amazing, divine support. This class can deepen your relationship with your guides and increase their role in your life. nergetic levels where spirit guides exist, decode the symbolic language of your guides, and use muscle testing to help clarify what messages your spirit guides have for you. Your spirit guides are always working on your behalf, whether you know it or not. Learn to ground yourself and raise your spiritual vibration, clear any energetic blocks, and open up your intuitive channel. Identify the various ways your psychic abilities already work and develop them further. Establish a working practice for communicating with your spirit guides, guardian angels, and your Higher Self. Guidance for solutions to problems; answers to questions and decisions. Learn to muscle test to communicate with your spirit guides. Those of you who took the class survey will receive a $5.00 Discount! Pre-Register & Pay by July 11, 2014 to receive a $5.00 discount! Location: Earth Spirit Center at 25251 S. Power Rd. All of us have the ability to communicate with the spirit world. Do you want to open up your natural spiritual gifts so you can enjoy a greater connection with your loved ones and your own source of guidance? This introductory class is a beginner’s level class for anyone who would like to become a psychic medium. It teaches students the basics of how to communicate with the Spirit and Angelic realms through mediumship. This 2-day workshop strikes a balance between information, sharing exercises to open your spiritual perception, and validation of psychic gifts. Please make your payment after you register. Last Chance to Attend This Class! What to expect from this 2-Session Workshop? PLEASE NOTE: Class instruction will be 12 noon and 2:30 pm. The last 30 minutes will be open for questions. Register by October 4, 2013 for just $45 per person for both sessions! Please Note: You DO NOT have to have a PayPal account to pay for your service. Click on the "Buy Now button". Click on "Don't have a PayPal account?" You will then have the option to pay with a debit or credit card. Visa, MasterCard, Discover and American Express.